Description: The little girl was left behind by her parents, to play by herself. 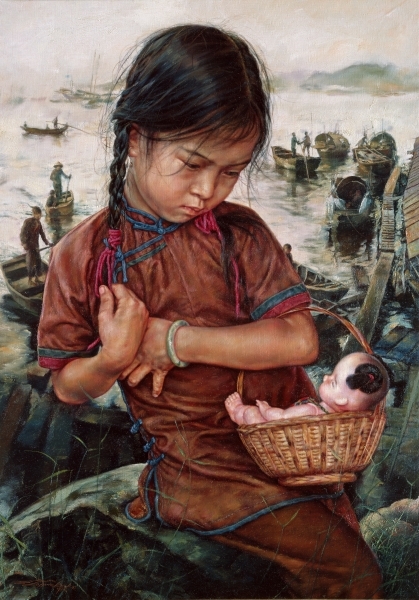 In the background, her family, the fisher folk are busy making their living. She looks at her doll, her eyes filled with longing, and wonders wistfully what it would be like if her beautiful doll could come to life for her, and keep her company through out the long day.